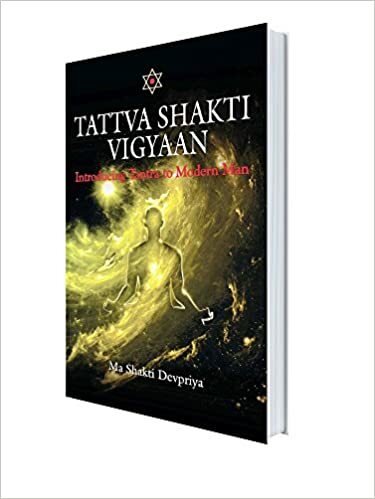 Stotras – The Ways to Connect with the Divine Virtues of Infinity! The Shiva is spontaneous force, innocent and all-powerful. Though He sits silently as witness at the core of everything but you should not forget that it is ‘His’ Shakti that creates, sustains and annihilates the infinite cosmic celebrations around us. When Shiva is realized within He is realized through his Shaktis the ‘gyaan’ and ‘ichchaa’. The power of knowing and Power of willing. When He is experienced in the Urja chakra He is seen with Paarvati. Paarvati represents the Shakti of Gross (tangible and material – Energy and condensed energy – matter) world.. Parvati in our being is originating from Muladhara (Prithvi) and residing at ‘her very own place’ the Swa-Adhishthaan’ as kula kundalini. When it comes to physical manifestation that is in the Aham-Idam frame, the Shakti becomes manifest in the form of Bhairavi, Shiva follows and incarnates as Rudra or Bhairava. Shiva is seldom visible to aspirant in the form of Rudra or Bhairava because Shiva is that primal cause of everything whose experience can happen only to His Shakti. Therefore almost all capable Sadhakas shall be able to experience Bhairavi or Devi in their sadhana experiences not Shiva. But it does not mean Shiva is never experienced in Aham-Idam. Technically it is true that Shiva can not be experienced in this domain but in Shiva Sutras you have heard it from Acharya ji that Udhyam is equivalent to Bhairava. This Bhairava is created out of Udhyam – Udhyam means incessant, cyclic and programmed flow of Shakti impregnated with TOTAL consummate awareness of the ‘sadhaka’ through either of three Upayas. And according to the chosen Upaya the experience is cultivated in the consciousness – It is through the play of Shakti of Sadhaka in Anavaopaya that Shiva manifests in Himself in the form of Bhairava. A Sadhaka should always remember that Shiva and Shakti are never separate from each other and secondly Shiva is EVER-FREE (swatantrya shakti) to break all set rule (only if we thought there are any). Thus Rudra or Bhairava is experienced. Even in Shambhavopaya a personalized experience of Bhairava is very much possible for some sadhakas. And Rudra is that aspect of Shiva which is ever filled with Anant Karunaa (infinite compassion) so much so that his eyes are always moist, filled with water looking at us. He is all benevolent, kind hearted, innocent.. so much so that He does not care for who is the sadhaka in front of Him. Shiva in the form of Rudra does not differentiate between devas and demons.. Manushyas (humans) or Gandharvas (celestial beings).. He blesses and gives boon to everyone. He does not see if he is giving boon to a Devata or Rakshasa. Rightly thus he is called Bhole-Baba..
To experience the presence of Rudra in your consciousness you should live in Shiva consciousness with all your (His) Shakti focused on to your respective Upayas (mostly anavopaya sadhana). Of which chanting or Nam-Smaran is a wonderful way to collect one’s awareness and energy to the point of desired convergence (abheepsit). In this mode of convergence Stotras are divine means to create right kind of bhava (emotional framework in your psycho-energetical ecosystem) in your being. And it is said when Bhava is right.. Deva is not far. And remember experience of Deva is said to be Amogh (unfailing – means it always blesses you and takes away your hurdles) therefore it would be apt to present you with this Rudrashtakam in the voice of Acharya ji as a means of strengthening Bhava in your sadhana. So sing, dance, love Him and let the tears of surrender take away all your sins.. May Shiva bless you all. Please note, I am giving the transcript of that this Rudrashtakam for the ease of pronunciation in chanting. SaptaShloki Durga – A powerful chant for everyone!